Are you a Calgary mom or mom-to-be… looking for new products and services geared specifically for your needs? Wanting to learn about legitimate work at home business opportunities? Needing a fun afternoon spent having adult conversation with other moms? The CalgaryMoms.ca Trade Show and Fair will offer all of these things, plus much, much more! Our show takes place twice per year usually April and November. Find information and resources to help you through your pregnancy and beyond! 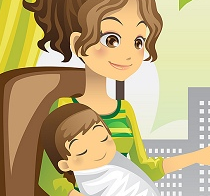 You will find tips and tricks and help from moms who have already been there and moms who are just starting out. Join our large Calgary based playgroup on Calgary Moms Community to join in fun activities such as weekly playgroups, Family BBQ’s, Slumber Parties for mom, bi-monthly business club meet ups and our famous monthly Moms Night Out!! Come share your mommy moments!